Stari Grad is a small town in the northern part of the island of Hvar in Dalmatia, Croatia. Formerly a naval and commercial centre and, until very recently, the largest settlement on the island. 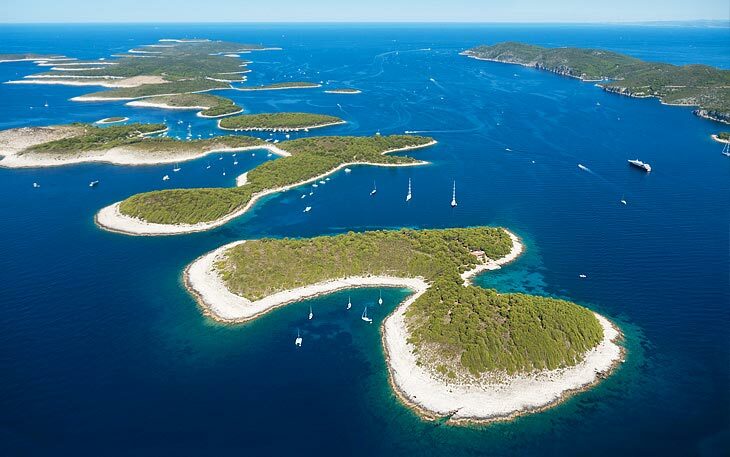 Stari Grad and Hvar are renowned for wines, because the island is covered by vineyards. In addition, small beaches are located in the caves inside the Bay and underwater fishing is possible along the North Coast. A hunting for rabbits and pheasants is close by on the peninsula Kabal. The symbol of Stari Grad is the period of Greek colonisation of the city, now a UNESCO World Heritage site. In addition to the ancient plain, in Stari Grad are many churches, stone villas and many other beautiful places to see. Stari Grad welcomes different establishments situated in the tranquil Bay, apartments, private houses or rooms to rent. Do you want to travel with your family to get to Stari Grad (Island Hvar)? Do you like adventure and freedom and you want to reach the destination Stari Grad (Island Hvar) with your moto ? These are the shipping companies that serve the routes to Jadrolinija, Snav.